Please visit our NEW web site, www.aplusdigitaldjs.com by clicking here. Book your Worry Free entertainment solution TODAY! A+ Digital DJs will coordinate with your other vendors before the event to ensure things run as flawlessly as possible. A+ Digital DJs will provide planning forms and meet with you (in person if possible) to assure your musical and entertainment needs meet and exceed your expectations. A+ Digital DJs will never consume alcohol at any event. A+ Digital DJs will arrive at least one hour prior to the event start (subject to venue approval) to allow for any last minute changes. A+ Digital DJs understands your wedding is unique and special and promises to help make it a night to remember. We serve All of Northern Michigan. We are based in Alpena and Charlevoix counties and we travel all across Michigan. Choose the Disc Jockey service rated A+ to transform your event into a memorable occasion for your friends and family. 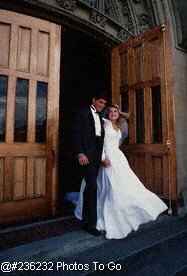 Please call us at 231-582-0628 for a FREE consultation for your wedding, school dance, corporate or holiday event today! I would like to thank all of our brides who are booked for the spring/summer season of 2005. We had a great time entertaining for the walkers at the Relay for Life in Petoskey. Thanks go out to all that attended and let's make next year's bigger and better than this year! Welcome to the home of Northern Michigan's Hottest wedding and school dance DJs! With high energy DJs, all the Newest music, and state of the art Light Shows to make every school dance memorable. From Homecoming to senior Prom and every school dance in between. We DJ Middle school dances too! Call us at 231-582-0628 for a free price quote today! 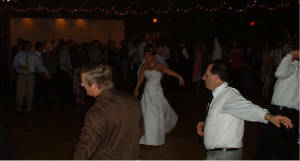 A+ Digital DJs are northern Michigan's first choice for weddings, dances and corporate events. Our highly trained music specialists not only play the songs you and your guests request. They play them at the "right time" to keep the party going as long as you want! A+ Digital DJs have entertained thousands of people in the Petoskey, Charlevoix, and Boyne City areas. Also with many satisfied clients in the Alpena area, we are ready to make your event memorable. Number of visitors so far! Book A+ Digital DJs Today and shake it all about!